Our culdesac is like a bubble wrapped moment in time. It is all things amazing and Captain's childhood is richer than anything I could have done just by happenstance of receiving the best neighbors possibly in the world of ever. And that bubble is extremely hard to leave. Practically impossible. From 7am to 9pm on weekends, the La Canada Homies are together, eating, playing, laughing, crying, fighting, pretending, wrestling, and getting into trouble - the days are usually filled with extreme emotions, such it should when you mix six kids all under the age of eight - it's like Lord of the Flies. 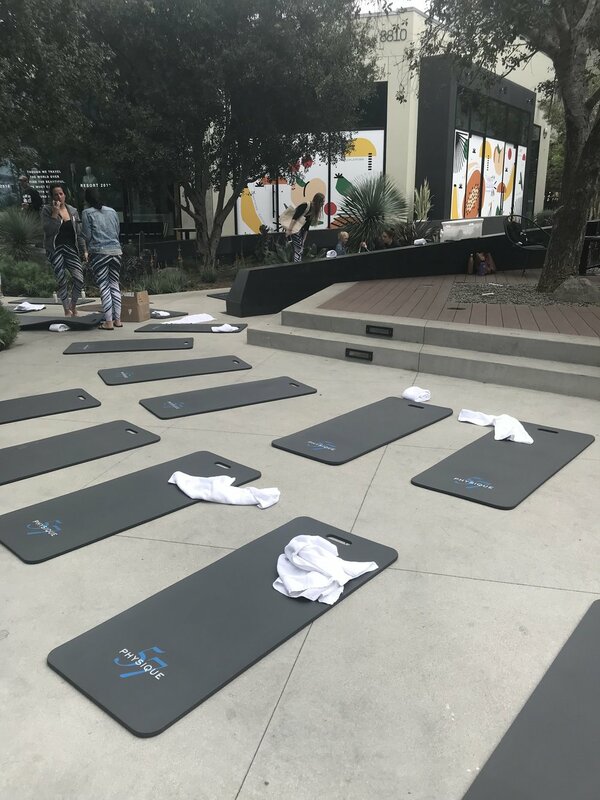 It was a weekend work event that forced me out of the bubble last Saturday - a Physique 57 x Beyond Yoga pop up class at Platform in Culver City - that set Captain and I off to LA with a loose plan of visiting the tar pits after the class. We ate ice cream at 11am and shopped for new dishcloths for me and sunglasses for Kali at Poketo. 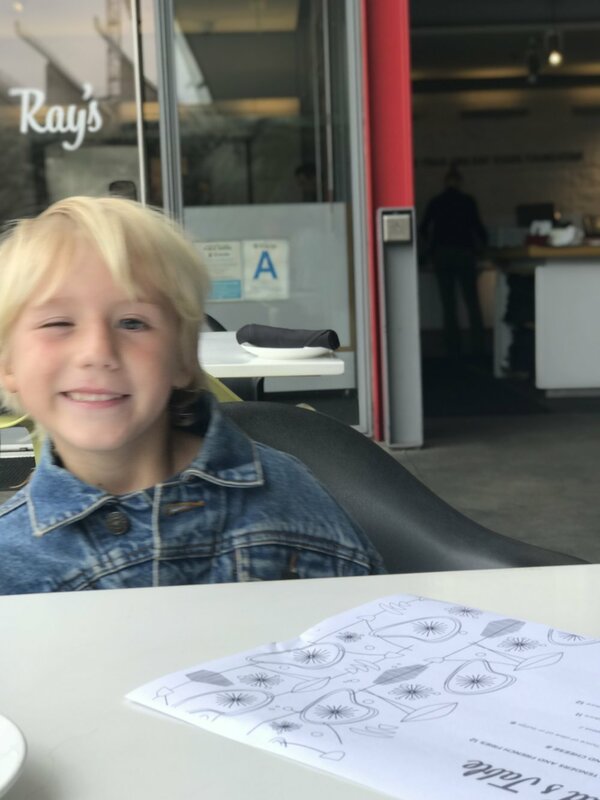 We blared Imagine Dragons as we inched the four miles to the La Brea Tarpits, and rode the cool all glass elevator from the parking garage to the museums. We wandered through excavation sites, started at Mammoth skeltons, and touched the right femur of a gigantic prehistoric Sloth. We visited the gift shop twice but didn't fall in love, and ate at Ray's in between the Tar Pits and LACMA ....it was delicious. I taught Captain how to play hangman while we people watched and slowly ate. And we were home by 4pm, leaving plenty of time for Captain to dart from house to house with his homies while I attempted to clean the house. I didnt get much of a Sunday with the family - I left for Vegas around noon, so I packed Captain up for the beach with Brett. Nate got home in time to catch up to them at Blackie's as I headed off to John Wayne.